Noise is any audible unwanted sound. Noise-induced hearing loss is the most common preventable occupational health hazard, with over 1 million employees in the UK exposed to levels of noise that put their hearing at risk; 17% suffer deafness, tinnitus or other ear conditions as a result of exposure to excessive noise. The Control of Noise at Work Regulations 2005 aim to ensure that workers’ hearing is protected from excessive noise at their workplace, which could cause them to lose their hearing and/or to suffer from tinnitus (permanent ringing in the ears). This quiz is based on information that can be found in the Barbour suite of resources under the topic ‘Noise at Work’. By answering the questions below, practitioners can award themselves CPD credits. One, two or three credits can be awarded, depending on what has been learnt – exactly how many you award yourself is up to you, once you have reflected and taken part in the quiz. The normal range of hearing is from approximately 16 Hertz (Hz) – a very low bass sound – to 20,000 Hertz (20 kHz) – a very high-pitched sound. At the lower end of the range, vibrations caused by sound can be felt in other parts of the body. Some of these vibrations are experienced both by hearing and feeling so there is an overlap in these definitions. Noise becomes hazardous when it occurs at high levels, or continues for a long time. The Control of Noise at Work Regulations 2005 requires employers to prevent or reduce risks to health and safety from exposure to noise at work. They set legal limits for exposure to noise at work. These limits are known as exposure limits and action values. Peak sound pressure of 140 dB (C-weighted). Where the exposure of an employee to noise varies considerably from day to day, employers may use weekly personal noise exposure (in place of daily personal noise exposure) in order to comply with the requirements of the Regulations. When applying the exposure limit values (but not in applying the lower and upper exposure action values) the protection given by any personal hearing protectors provided by the employer must be taken into account. The Control of Noise at Work Regulations 2005 require an employer who undertakes work liable to expose any employees to noise at or above a lower exposure action value to make a suitable and sufficient assessment of the risk that noise poses to the health and safety of those employees. E) carry out health surveillance where there is a risk to health. In addition to the risk assessment of any noise exposure likely to be at or above the lower exposure action values, the main elements of the 2005 Regulations also include eliminating the risk, or where elimination is not reasonably practicable, reducing the risk from noise to as low a level as is reasonably practicable. A programme of measures, excluding the provision of personal hearing protectors, are required at the upper exposure action value in order to reduce exposure to noise to as low a level as is reasonably practicable. Other elements of the Regulations include the designation of Hearing Protection Zones where exposures above the upper action value are likely where the use of hearing protection must be enforced by the employer. Employers and employees also have duties concerning the use of equipment, including personal hearing protectors, provided under the Regulations. Where the risk assessment has identified that noise exposure requires to be controlled there are a number of measures that may be taken. Which of the following noise-reduction measures must be considered? B is not strictly true; employers must consider reorganising employees’ work patterns to eliminate noise exposure rather than just offering a work from home option. 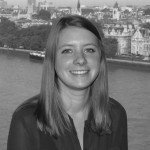 designing and organising the workplace for optimum low noise emission. Often a combination of measures is best. Obviously the best plan is to remove the noise source altogether, but realistically this is often not a viable option. C) when an employee has an existing hearing problem. arrange audiometry testing where appropriate. C) highlight where employees might be suffering the early signs of hearing damage, giving the employer the opportunity to do something to prevent this situation becoming worse. a medical examination by a doctor where hearing damage is identified. What is meant by ‘peak sound pressure’? Compared to the Noise at Work Regulations 1989, which introduced the requirements of the first EEC noise Directive, action values for daily noise exposure were reduced, and the 2005 Regulations contain exposure limit values for daily or weekly personal noise exposure and for peak sound pressure. Aspects to be considered by the risk assessment required by the 2005 Regulations include the level, type and duration of exposure, including any exposure to peak sound pressure. Under the Regulations, employees are required to follow any instructions and take note of any information and training given by their employer in relation to minimising exposure to noise. True or False? Employees must also wear any personal protective equipment provided to them by their employer which protects against exposure to noise at work at all times when in noisy environments, and are also required to report any defects in machinery or equipment that is causing increased noise. All of the above are considered to be noisy work environments. Other industries include demolition or road repair, engineering, forging, pressing or stamping, paper or board making. Exposure to noise is not the only factor which causes hearing to deteriorate – certain drugs and medications or chemical agents used in the workplace can cause damage. True or False? These medications or chemical agents can damage the hair cells in the inner ear. These are called ototoxic chemicals, over 200 of which have been identified, and their effects may be temporary or permanent. Examples of ototoxic chemicals are antibiotics, salicylates, loop diruretics, chemotherapy drugs, quinine, solvents (eg benzene, toluene, butanol and trichloroethylene), as well as certain metals, such as arsenic, lead, cobalt, mercury and lithium. The effects of some of these chemical agents are linked with noise exposure. In certain circumstances, where neither the agent nor the noise exposure alone cause hearing loss, the combined occurrence can do so. In some circumstances, the extent of hearing damage by noise is magnified by the effect of these ototoxic chemicals. Quiz – noise at work Noise is any audible unwanted sound. 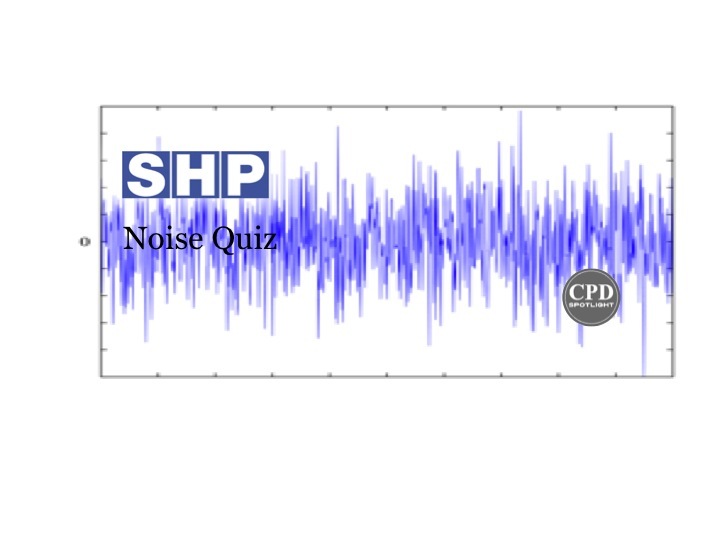 This quiz is based on information that can be found in the Barbour suite of resources under the topic ‘Noise at Work’.